South Australian Treasurer Tom Koutsantonis continues to deny the Heritage Values of the Leigh Creek Coal Fields. Remarkably, he quotes the rejection of the Leigh Creek Coal Monuments by the State Heritage Council as a reason behind this. The William Light Foundation has responded by submitting a fresh Heritage nomination to protect the site for current and future generations. 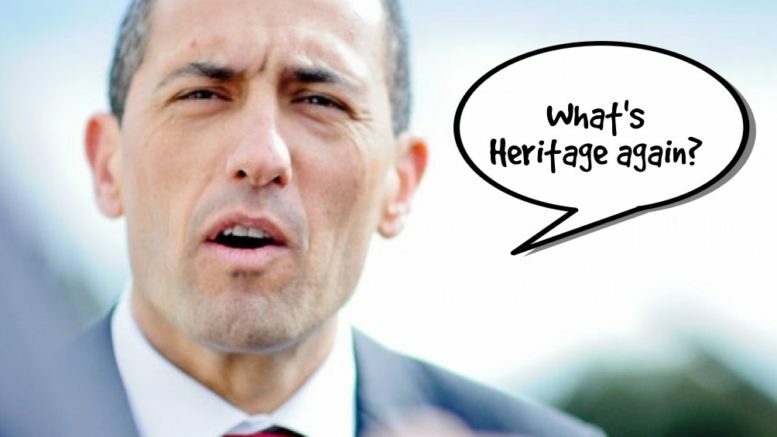 Minister Koutsantonis claims the Playford era coal relics don’t meet any of the criteria of the Heritage Places Act 1993 despite the location arguably meeting every single criteria set forth in the Act. The William Light Foundation has responded by submitting a fresh Heritage nomination application to enable the Heritage Council to take a closer look at the heritage values of the site and unique equipment located at the famous lookout. The planned destruction of the site to expedite the mine site closure is unnecessary and adds insult to injury for the local communities now seeking to capitalize on the unique history of the region, which can be showcased to create regional employment and sustainable growth. The community and visitors have enjoyed the benefits of the lookout for thirty years and now the failure of Flinders Power to consult and respond to the community concerns displays a lack of respect and concern for the region while the stance of the state government blatantly contradicts the key recommendations of the Leigh Creek Futures Report. The solution is simple. Flinders Power and Government SA must respond to community concerns and modify their remediation plan via bund redesign and installation of safety fencing. An undertaking is now sought from the state government to refrain from any adverse action in relation to the site and the monuments pending the review of a new Heritage nomination submission and its hearing. Failing this, the foundation reserves it’s rights to commence actions in relation to potential breaches of the Heritage Places Act, other applicable laws, including and not limited to willful negligence. Grateful thanks to you Nigel and the Friends of the Flinders Communities for showing genuine care and thoughts towards the closure of the Leigh Creek Township that will surely affect the surrounding communities of Copley. I am an Adnyamathanha person and hold sentimental values for the relics of the coalmine. The 9W Dragline stands out to be one of them, my husband Bruce now age 75 learnt to operate the 9W Dragline at about the age of 25 and we both say the 9W Dragline is an icon and a Monument of the Coal Mining days. My input and point of view as an Adnyamathanha Elder – if it wasn’t for the likes of the 9W Dragline the Mukumai and Ardlawirdni [damper rocks and firesticks] would never have been unearthed, as the Damper Rocks and Firesticks sit next to the 9W and the open cut of the mine, which is part of the legend told about the story of Yurlu’s Coal. Yurlu’s Coal and Mukumai Dreaming dates back thousands of years, to the days when Dinosaurs roamed the earth. It took something like the iron Dinosaur to dig it up, which the 9W Dragline is considered as. Minister Kyam Mahar is also Minister for State Aboriginal Affairs, Adnyamathanha under the Aboriginal Heritage Act continue to be ignored on matters at Leigh Creek. Sadly there is no interest or support from all levels government we are ignored.